Tony Jones and I dig into the third episode of Breakthrough, which continues to ask questions about what it means to be human and the role of memories and remembering in shaping our identities. 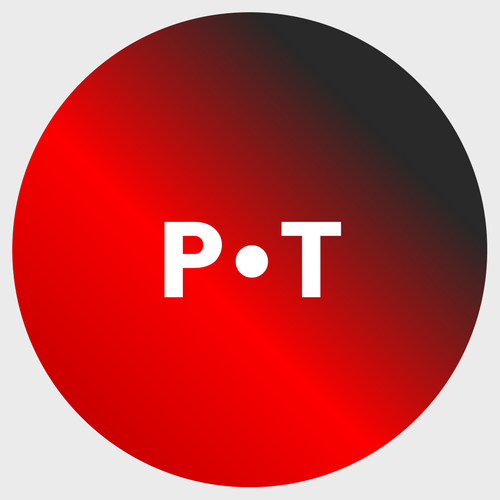 RP: We’ve got yet another fascinating episode on our hands in “Decoding the Brain.” However, I missed Paul Giamatti in this episode and that personal journey motif that made the last episode even more compelling. This week’s episode continues to ask questions that get at the heart of our identity. What makes us who we are? How does our brain work, particularly in terms of memory- and decision-making? How do our memories shape our identities. This week’s episode is especially relevant given the attacks in Paris on Friday night. Much of the episode discusses the way our brain process events, specifically traumatic events, those that scientists call “flashbulb” memories. The episode looks at people who witnessed the events of 9/11 first-hand and how their memories of that event change year after year. We actively change our memories every time we remember. Scientists know that good memories can become bad ones over time. What I find more interesting is whether or not bad memories can be redeemed over time. 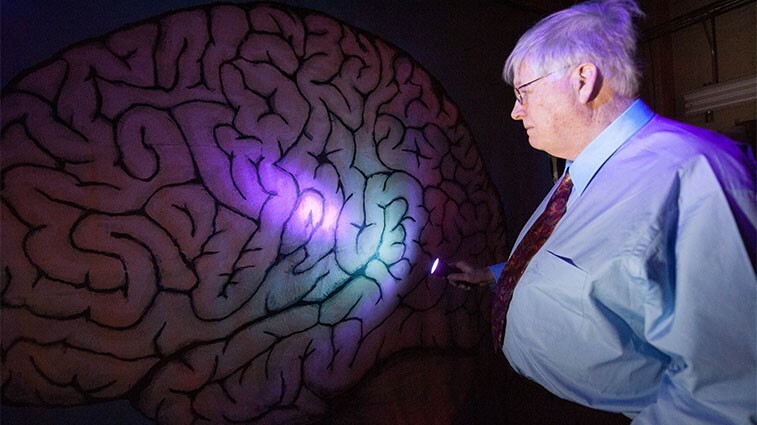 The rest of the episode gives attention to a number of neuroscientists doing revolutionary work that has implications for people suffering from epilepsy, PTSD, depression, Alzheimer’s, and a host of other neurological diseases. Thesis A: Memories define our identities. Thesis B: Memories are quite plastic and change with time and influence. Put those things together, and I cannot help but conclude that human identity — and, therefore, behavior — is very easily manipulated. This does have implications for the terrorist attacks in Paris because it shows us once again how people are radicalized by terrorist organizations. It’s simply not that hard to convince someone of something, especially if they are in an already vulnerable state. And I’m glad that this episode at least mentions the ethical problems that come with opti-genetics. And the fact that MIT would not let the documentarians film their experiments with rats is telling. RP: I think one of the most fascinating topics of discussion in this episode is the analysis of how we make choices. Science is showing that we move through much of our lives on auto-pilot…that our subconscious makes the majority of the choices for us up to seven seconds before we are consciously aware that we are making them. For me, this seems to have profound implications for discussions of ethics and morality. To what extent can we be held responsible for choices that might literally be out of our conscious control? All of these insights are even more profound when you consider the closing statement in the episode: if the human brain can be perceived as a sophisticated Swiss timepiece, then the leading neuroscientists in the world are like first graders in their understanding of it. Finally, and I’m having some fun with this, but there are more Christ-like moments in the series. Some historians and theologians argue that Biblical accounts of demon-possession might well have been people who suffered from epileptic seizures. We know that Jesus healed them by casting out those demons. In “Decoding the Brain,” we see a scientist implant tiny electric wires into the brains of patients suffering from epileptic seizures. This procedure has resulted in a 92% decrease in seizures with no discernible decrease in cognitive functions. The theological question it raises for me is this: What was the state of Jesus’ brain? All of the episodes in this series are about breakthrough science, and each is pure materialist science (at least so far). What made Jesus special? Was there something materially different about his brain? Did God implant a divinity electrode in there? 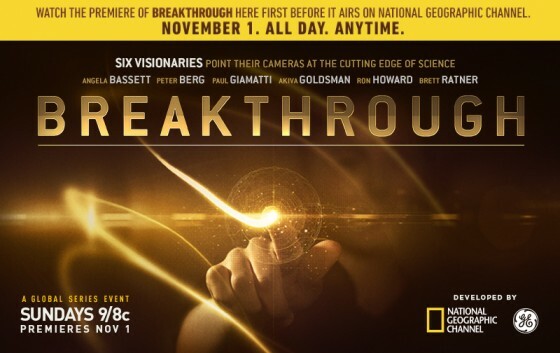 Breakthrough airs on Nat Geo on Sunday nights at 9. You can also stream all episodes online.